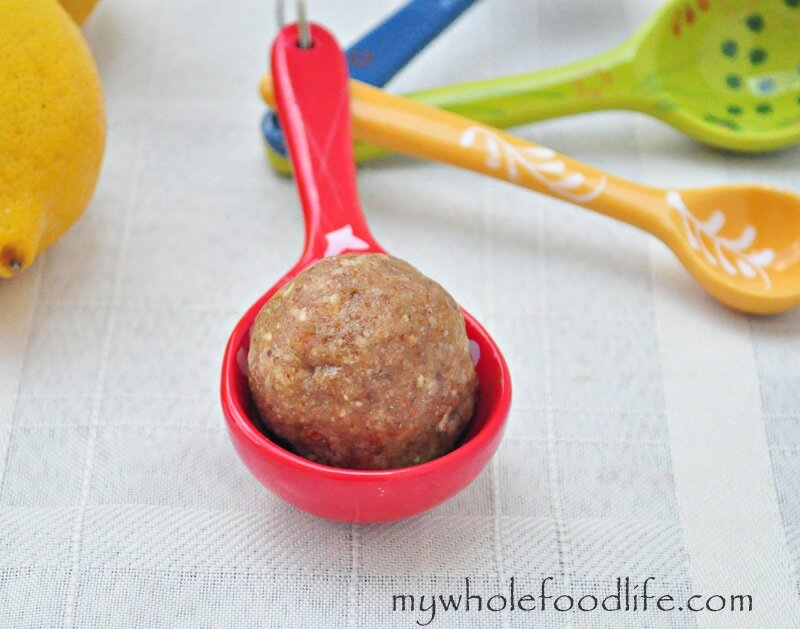 Lemon Larabar Bites that are vegan and gluten free. If you have been following this blog for a long time, you know that I love larabars. Especially if they are homemade larabars! I have had several requests to do a lemon larabar recipe, so here it is. I absolutely love lemons, so I was excited to create the larabar version. They came out so good! I am happy to tell you that these are grain and gluten free. If you have a nut allergy, you can try making them with sunflower seeds. 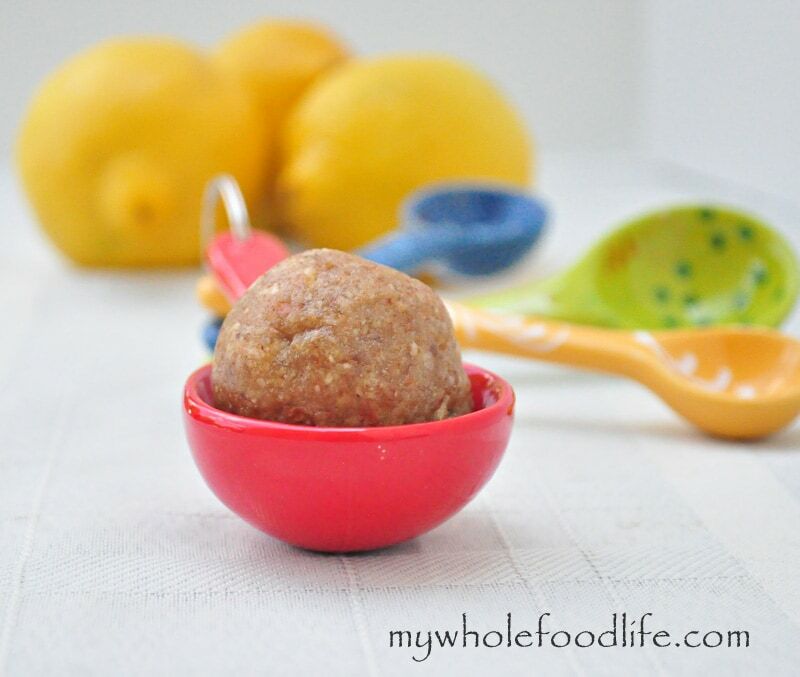 These homemade lemon larabars make the perfect snack because it only takes minutes to make them and there is no sugar added! In the food processor , grind up the almonds and cashews. Once they are ground, add in the dates and the lemon juice. You may need to add in a small amount of water if the mixture looks too dry. Once the dough is formed, roll into balls and place them in the fridge to firm up. I got 14 balls out of my batch. Enjoy! I made these the other day, they were wonderful! I needed no water, and rolled them in desiccated coconut afterwards. Next time I'll add a bit of lemon zest too. Thanks for the recipe! Glad you liked them! Good idea to roll them in coconut. What consistency should the ground nuts be? Fine like almond flour or a more textured? Thanks! Not as fine as almond flour. A little more course. Thank you Karen! I hope you enjoy them! Hi Melissa, I'm out of almonds at the moment and my 9 year old really wants me to make these. You think I could sub pecans, peanuts, or walnuts for the almonds? Hi, I was wondering if these could be frozen or what the shelf life is for making big batches? Thanks! Once they come out of the fridge, can they be stored elsewhere? Or do they need to remain fridgerated?